The BedBug Chaser is a portable, safe, green, convective, Electric Bed Bug Heaters kill bed bugs NJ designed specifically for indoor use and is the culmination of nearly two years of research and development. It was designed to be lighter, smaller and more powerful than any similar heater currently in the market. The BedBug Chaser incorporates lightweight aluminized steel construction and fully rated safe quick-connect load terminals. The unit is equipped with dolly style wheels, which will not damage floors and allows for easy mobility within the home. Our Electric Bed Bug Heater kills bed bugs NJ and is rated for continuous operation with more than double the BTU output than any other unit in its size range. 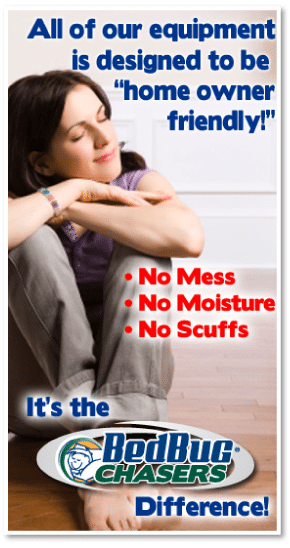 Kill Bed Bugs NJ and NYC with Our Electric Bed Bug Heaters. Our superior engineering and technology allow rooms to heat or “bake” much like that of a convection oven, which cook much more quickly and evenly than old-fashioned ovens. Convection is a combination of diffusion and the bulk motion of molecules. Near the surface of the object being heated (a sofa, mattress, clothes in a closet) the air velocity is low, and diffusion is how most heat is transferred, but deep inside that same object, the bulk motion is increasing. When heating an object, the density change in the outer most surface will cause the air to rise and be replaced by cooler air that again will heat and rise. 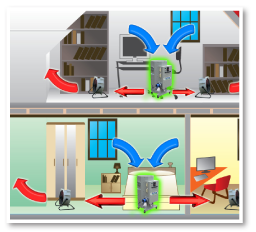 Since the BedBug Chaser accelerates airflow on two axes simultaneously, it allows diffusion to occur at a much faster rate and creates a quicker density change on the surface of an object. More simply, the new design accelerates the convection process producing supercharged heating! The BedBug Chasers design makes it perfect for Commercial Spaces, Hotels, Apartments and Multi-unit Housing. BedBug Chasers Computer Controls allow us keep extremely close temperature tolerances making the BedBug Chaser the only electric bed bug heater that meets FFA standards for use in aircraft. 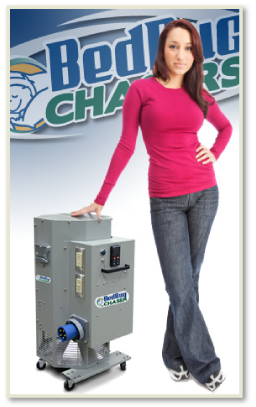 BedBug Chasers is the only company using this ground-breaking heating technology. Unlike our competitors that use generic heaters, the BedBug Chaser was designed, tested and manufactured with the specific purpose of killing bed bugs. Our partners in Cleveland, Ohio manufacture these heaters exclusively for BedBug Chasers. 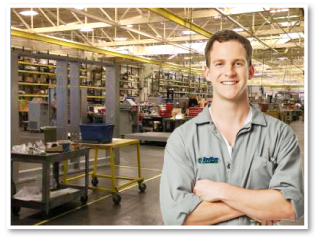 Their extensive experience includes making equipment for the aviation, industrial, commercial and aerospace industry since they opened their doors in 1953. With this alliance, BedBug Chasers has access to five production facilities in the US and UK and are able to manufacture heaters to support our global franchise network – no one else can do that!